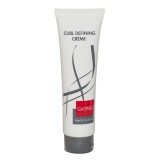 Containing natural plant essence and herbs, GKMBJ Curl Defining Creme will enhance cur.. 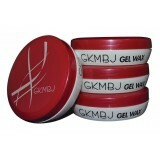 This unique and versatile styling glaze gel formula with positive ions and fibre complex creates .. This non-greasy fibre enriched clay permits modern hair styling with a silky look and a solid eff..
GKMBJ Moulding Paste is ideal for structure and shape. With a semi-gloss finish a..
GKMBJ Firm Hold Mousse is designed specifically to provide styling support to your styling op..
A shining and polishing wax which adds texture and gloss to the hair. Great for finishin..
Great for finishing when maximum control is required. It creates a textured appearance w..
A very light serum ideal for fine hair. Nourishes normal and coarse hair without leaving..
GKMBJ Root Lift Spray completes the new GKMBJ Volume Set. ..